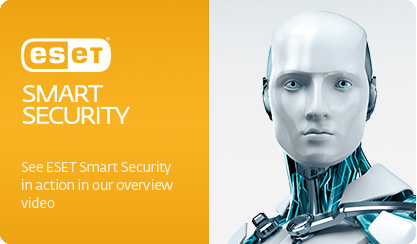 Securely protected by ESET’s award-winning detection technology. It’s trusted by over 100 million users worldwide to detect and neutralize all types of digital threats including viruses, rootkits, worms and spyware. Operating System: Windows® 10, 8.1, 8, 7, Vista, XP, and Microsoft Windows Home Server 2003, 2011. Blocks attacks specifically designed to evade antivirus detection and eliminates lockscreens and ransomware. Protects against attacks on web browsers, PDF readers and other applications, including Java-based software. Speeds up scans by whitelisting safe files based on the ESET Live Grid® file reputation database. Helps to proactively stop unknown malware based on its behavior, by comparing it with our cloud-based reputation system. Decreases scanning time by scanning specific file types—such as archives or iPhone updates—during the download process. Helps detect potential inactive threats before they can cause damage. Fits any type of system environment. Lets you customize the behavior of the system in greater detail. Gives you the option to specify rules for system registry, active processes and programs to fine-tune your security posture.